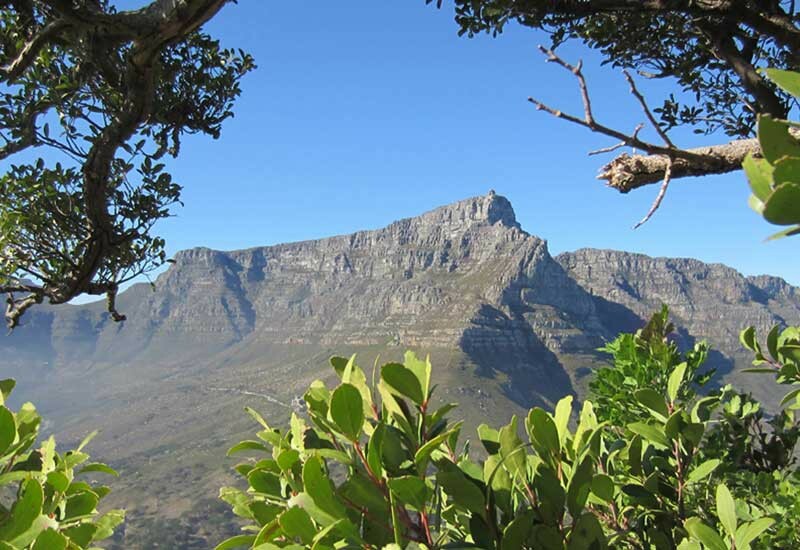 enjoy one of the most challenging hikes in this area. 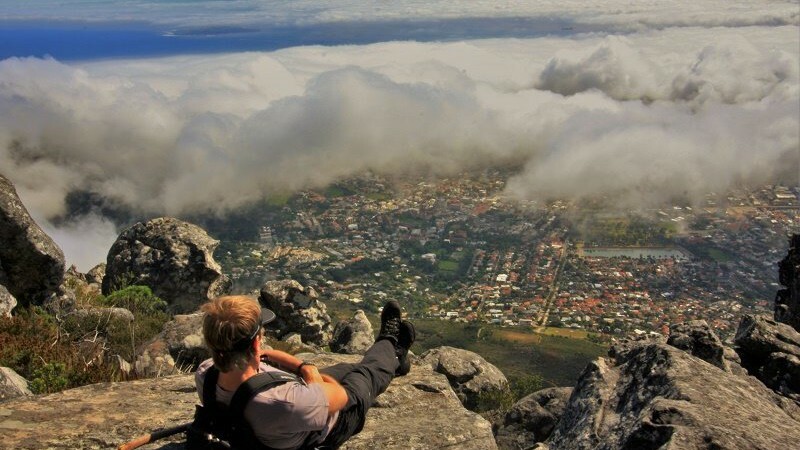 India Venster, a direct hike to the top of Table Mountain. 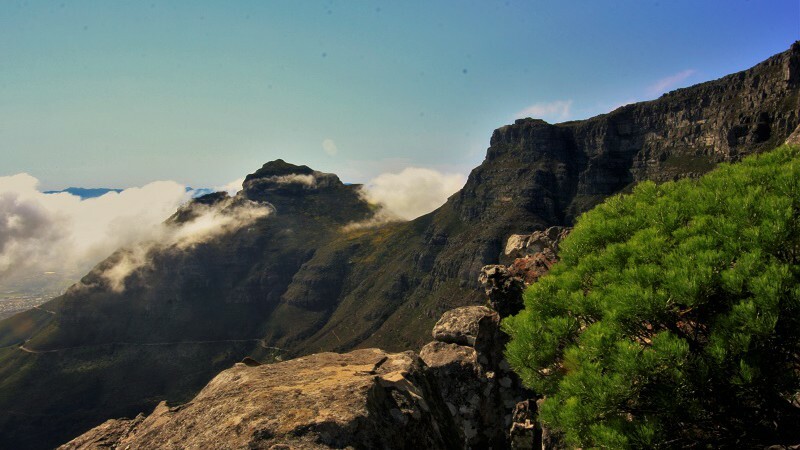 This sensational route leads directly underneath the cable car just before the top of Table Mountain, when the route forks to the left and winds its way up to the plateau. This tour is for real climbing enthusiasts and for all that appreciate breathtaking steep faces. The path is well developed and build in handles and grips ensure simplified climbing. 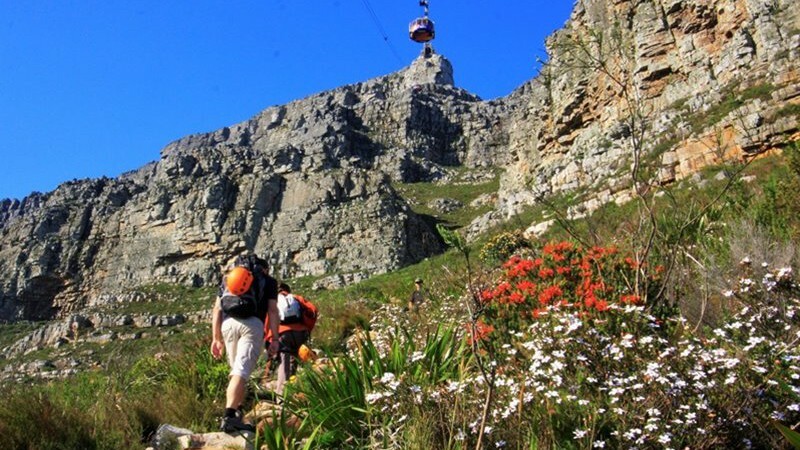 We either take the cable car down ( weather dependent ) or climb down via Platteklip George at the front of Table Mountain, depending on your fitness level. Your hiking guide will pick you up at your hotel and drop you off afterwards.